RevGalBlogPals: Wednesday Festival: I Will Not Rejoice! Wednesday Festival: I Will Not Rejoice! Many good and thoughtful words have been written by ring members about the death of Osama Bin Laden and the tension between a Christian response and an American response to the news. Muthah+ at Stone of Witness writes the post we will see here today, but I would encourage you to share links to your own words or those of others in the comments below, and I may add links to this post as the day goes on. 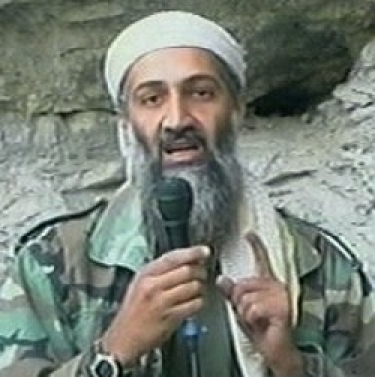 The news of the killing of Osama Bin Laden is being celebrated by many. The thought of my country being a part of a strategic plan to “take out” a leader of a movement that is contrary to the commonweal of my nation bothers me. I know there is war. I know that we were attacked by the efforts of this man. I know that I enjoy a quiet life in a nation that has responded to an attack with an act of vengeance. I don’t rejoice in Bin Laden’s death. But I AM relieved. Perhaps by cutting off the head of the movement, we will see that movement diminish. As a Christian I deplore acts of violence as ways to settle problems in the world because they never do. I am also reminded of Dietrich Bonheoffer’s complicity in the attempt on Adolph Hitler’s life. As a theologian he hated what was happening in his country in the name of the Church, the name of Christ with the twisted theologies of Nazi anti-Semitism. He saw that Hitler needed to be assassinated as a way to regain the soul of the German people. So he left the safety of the US and returned to his homeland to assist in that plot. He was caught after the plot failed and he was executed just days before the fall of the Third Reich and Hitler’s suicide. He is marked as a saint by many. And yet, we are aware that he crossed over that line into participating in violence. The end somehow justified the means. All too often I am overwhelmed with the complexities of life. I am overwhelmed with economic systems that must be run by those who have great wealth and power that deprive others of their small holdings just to keep the world running as we have known it. I am overwhelmed with foreign policies that keep small nations from being able to exploit their own resources for the benefit of their own people. I am overwhelmed with military attitudes and national jingoism that often take root in the hearts of my neighbors and friends in this country and I am embarrassed. I am embarrassed at the celebration of the death of a single man when so many more are dying in the streets of our cities, the deserts of Iraq, the mountains of Afghanistan and so many places in Africa. And in that embarrassment, I have to accept the guilt of also being relieved. As a Christian I want to be better than that. I want to call from myself, and those who represent me, efforts that are rooted in the shalom of Christ. 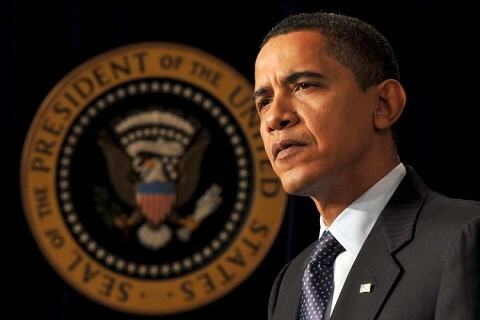 And so I stand in this ambivalent way, not rejoicing but not maligning the actions of my President or military either. I am not likely to find fault with the leaders who brought about this mission militarily. Just as I have never maligned Harry Truman for the A-bomb in 1945 or Kennedy for the Bay of Pigs. It was what it was. Were their actions just? Only God knows. No one today can stand in the shoes of those leaders knowing what they knew at the time any more that I can stand in the shoes of our leaders today. I want my nation to live more clearly what it means to be Christ’s own in their lives so that they do not resort to violence. I want them to understand that violence only begets violence. So I continue to preach what I preach. I continue to write what I write. In the Middle East things are happening in Egypt, in Libya, Syria and other places in the Moslem nations that are boiling up from the bottom that are not rooted in violence. There is a weariness of fighting and a deep longing for freedom from dictatorship. Hopefully they will be able to create among themselves a kind of governmental system that is appropriate for them that will take into account the needs of the people. Who will be the Thomas Paines of their struggle; who will be the Thomas Jeffersons or Ben Franklins of their revolutions? Even the Deists who formulated the Constitution and finally the Bill of Rights knew that vengeance could not be sustained as a policy without it costing us our liberty. And hopefully they will know that the salaam of Allah can only be found in the willingness to listen and compromise. I also wrote my response to this incident. The concept of power, humanity's abuse of it, and what is "right" has been weighing heavily on me. Here are my own posts in response: Three Thousand Persons and Exhale. Here's what I wrote in response: My politically incorrect moment--yeah, dance From the Facebook posts of others, this was not the most popular response, but read and see why I took the non-standard route. Katie-Greetings! I'm part of a tiny church too :) and know Chris Paige from some work I'm doing in Philly. Nice to "meet" you on the blogsphere. Ambivalence is the word. If you hop over to my blog you'll find a brief reflection and a prayer. Thanks to all who have addressed this--it's good to know I'm not alone. I just want to thank all of you for your responses. Really. The back-and-forth stuff on facebook was troubling me and you all said eloquently what I was struggling to put into words. David, I read your piece this morning and it has me thinking that maybe what I did with the youth last night is exactly what I need to do with the congregation on Sunday. Basically, it was very similar to your service, at least the conversation part. There was already a scheduled "Ask a Pastor" night with pre-submitted questions. The youth director added one "What is a Christian response to the death of OBL?" at the end of the others. I liked the conversation that let them lift up their experiences, but in the end I framed it all in some Scripture. It worked so well, I think I might just do it on Sunday.